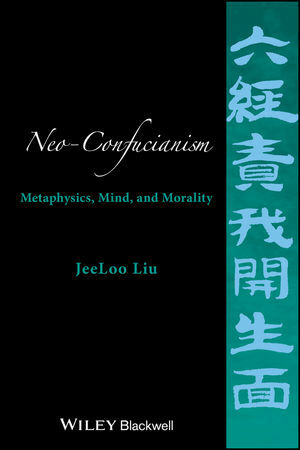 Solidly grounded in Chinese primary sources, Neo Confucianism: Metaphysics, Mind, and Morality engages the latest global scholarship to provide an innovative, rigorous, and clear articulation of neo-Confucianism and its application to Western philosophy. JeeLoo Liu is Professor of Philosophy at California State University, Fullerton. She is the author of An Introduction to Chinese Philosophy: From Ancient Philosophy to Chinese Buddhism (Wiley-Blackwell 2006), co-editor of Consciousness and the Self (2012), and co-editor of Nothingness in Asian Philosophy (2014). She is currently the Executive Director of the International Society for Chinese Philosophy.